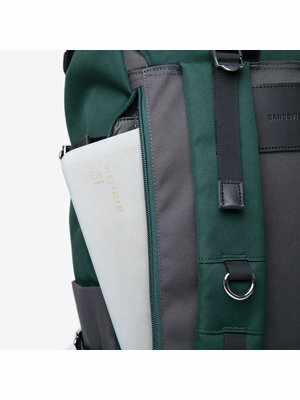 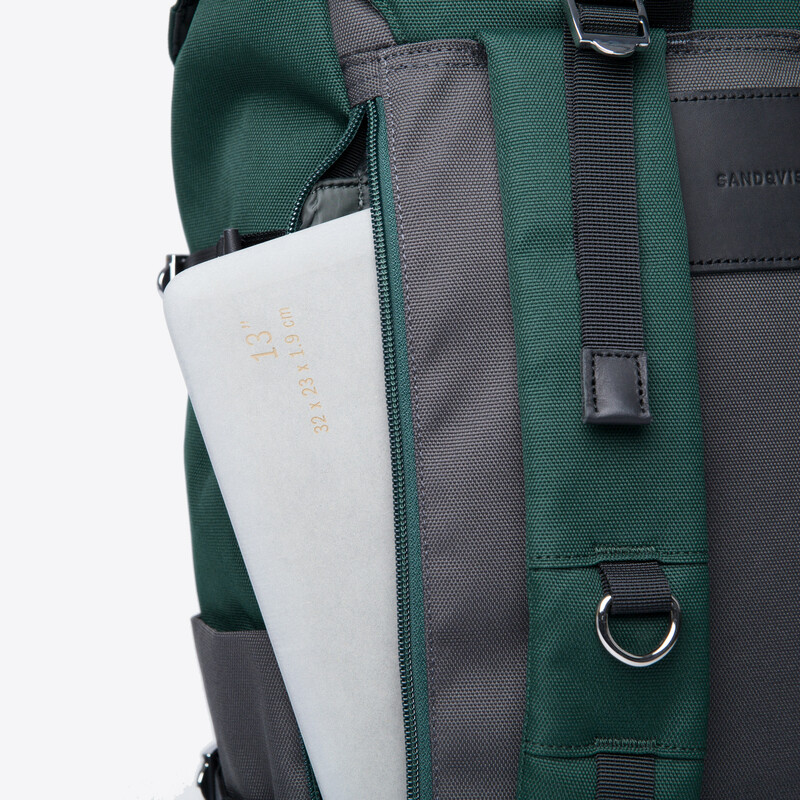 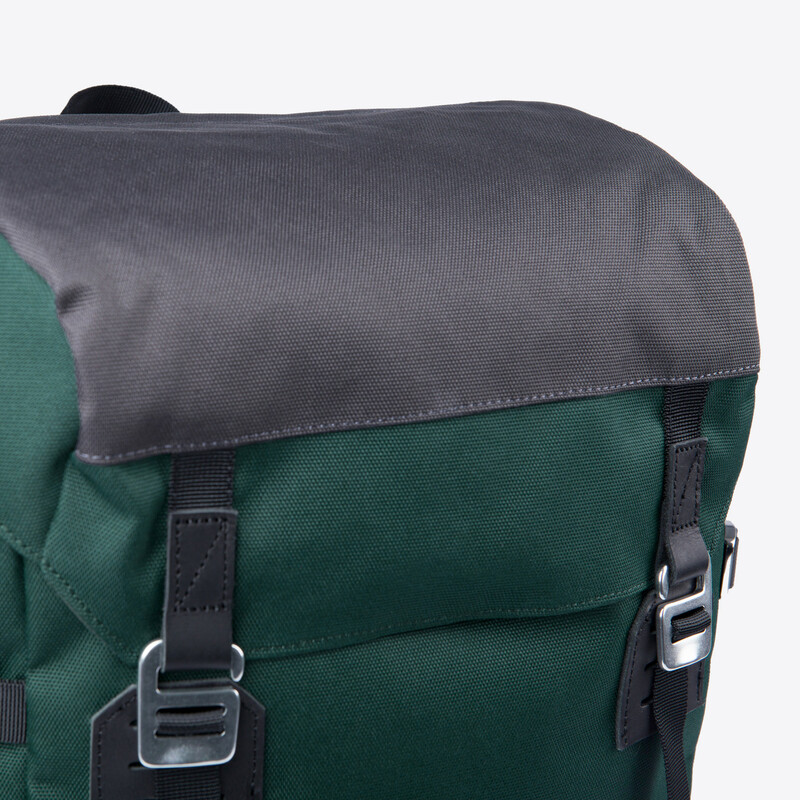 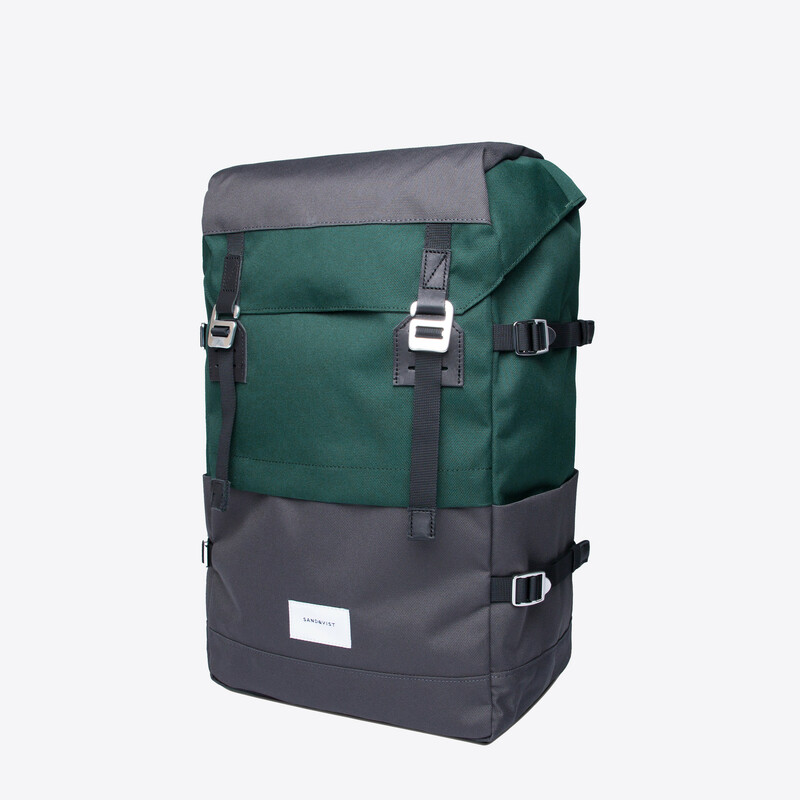 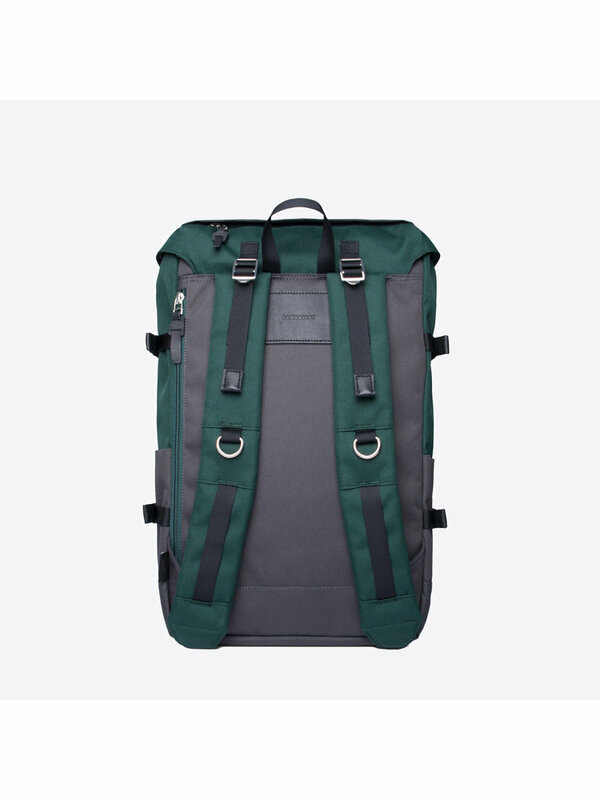 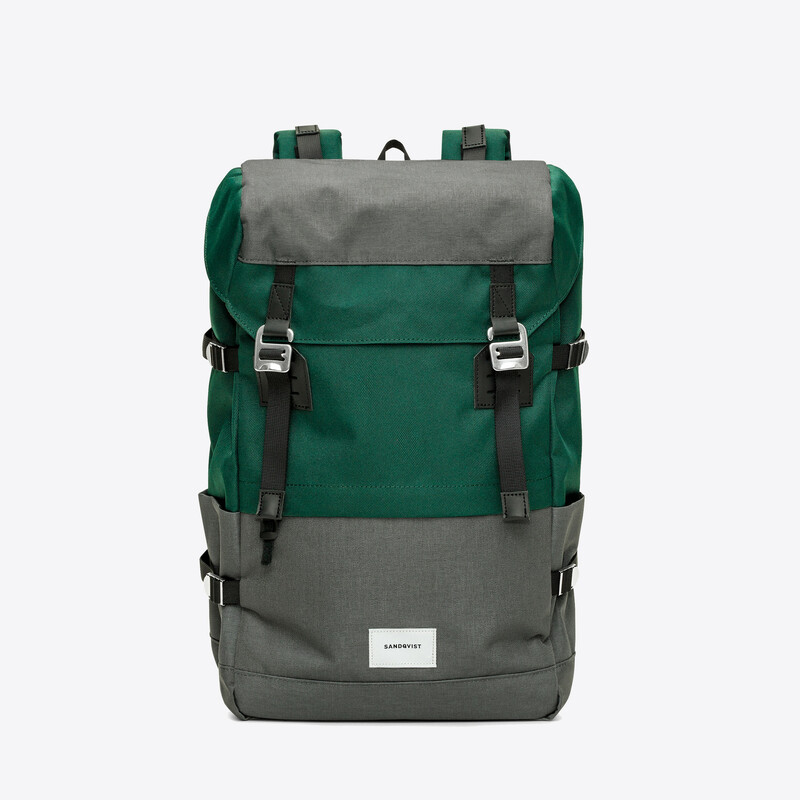 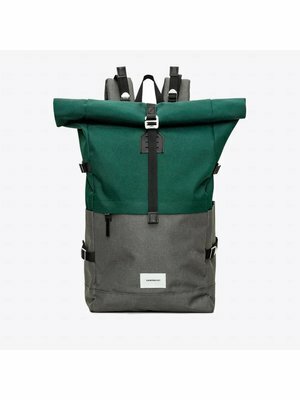 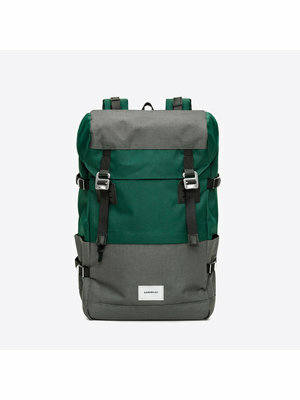 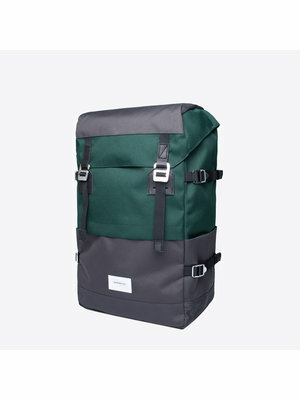 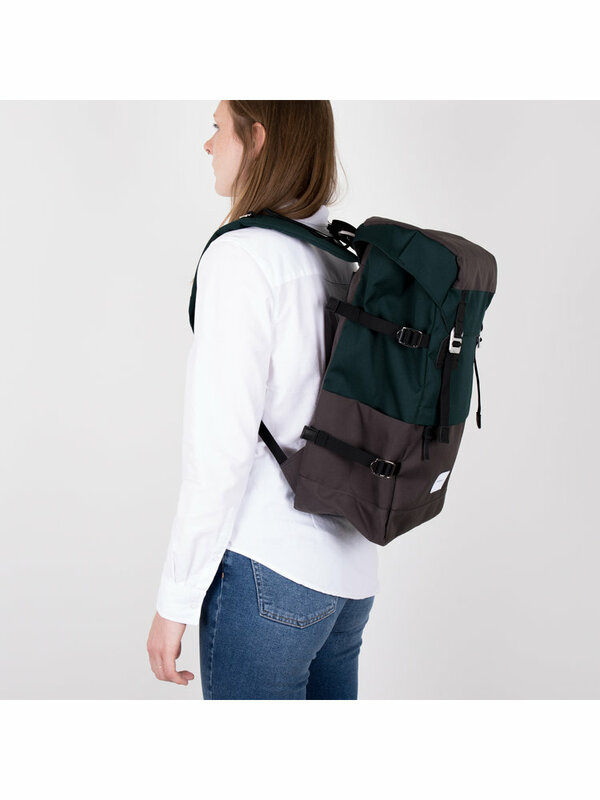 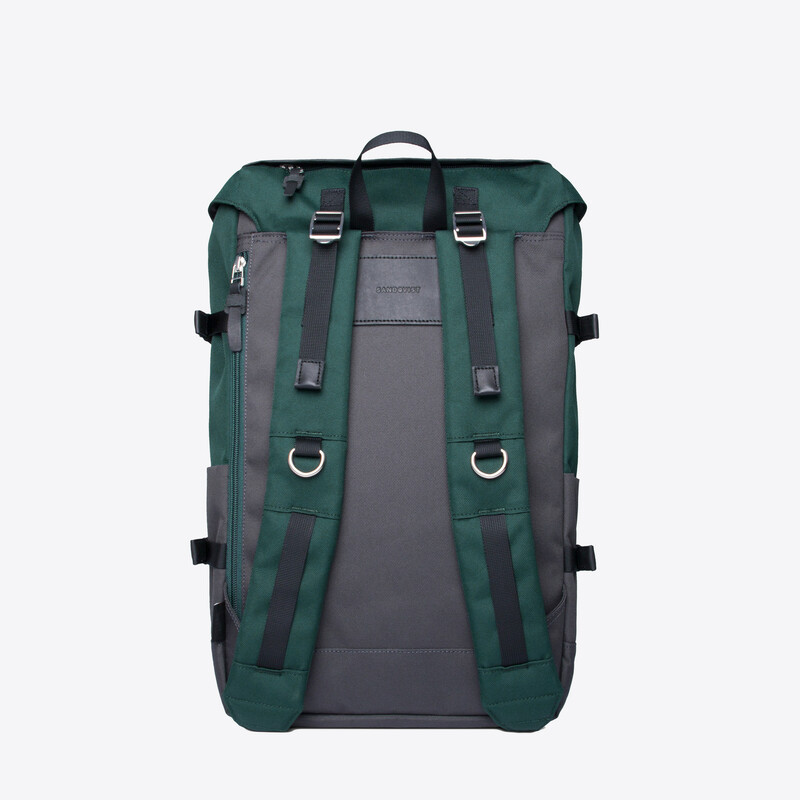 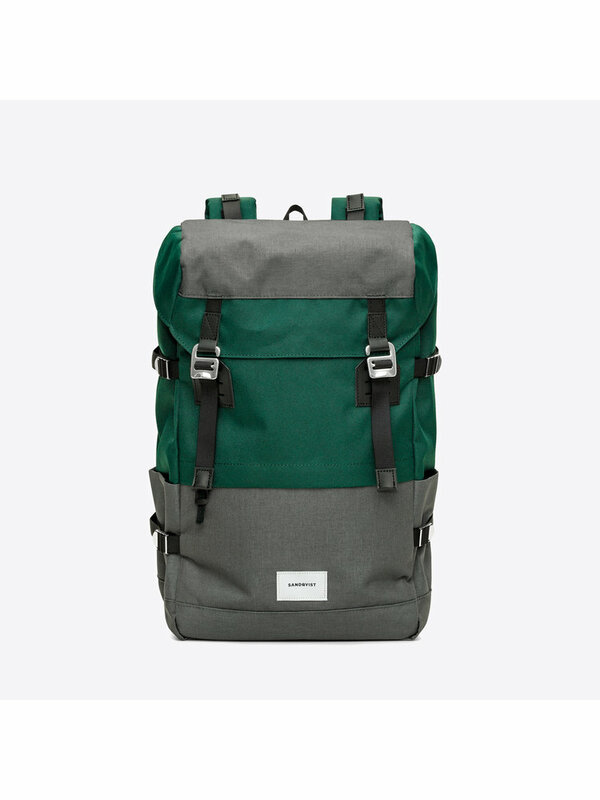 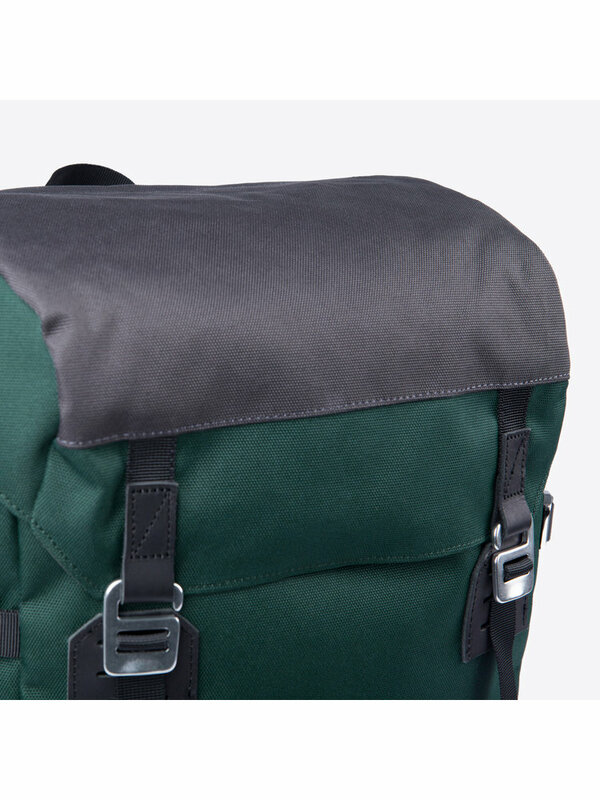 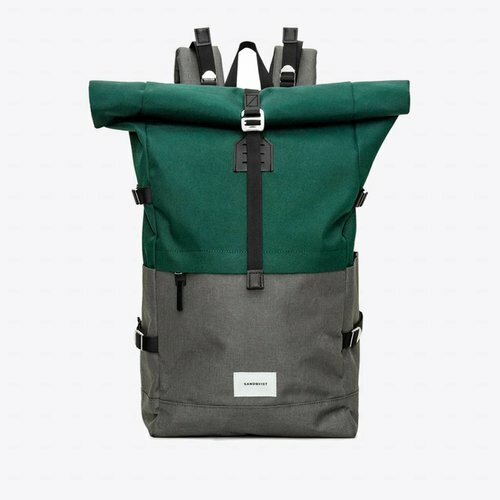 The Harald Multi Deep Green/Dark Grey SQA1043 Backpack from Sandqvist is a cool and handy backpack made from water resistant Cordura EcoMade material from recycled PET bottles. 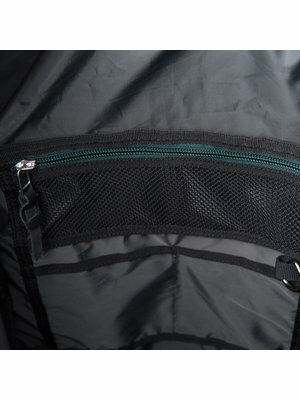 Use and close the bag with the easy drawstring closure system and attach the two metal hooks to the flap. 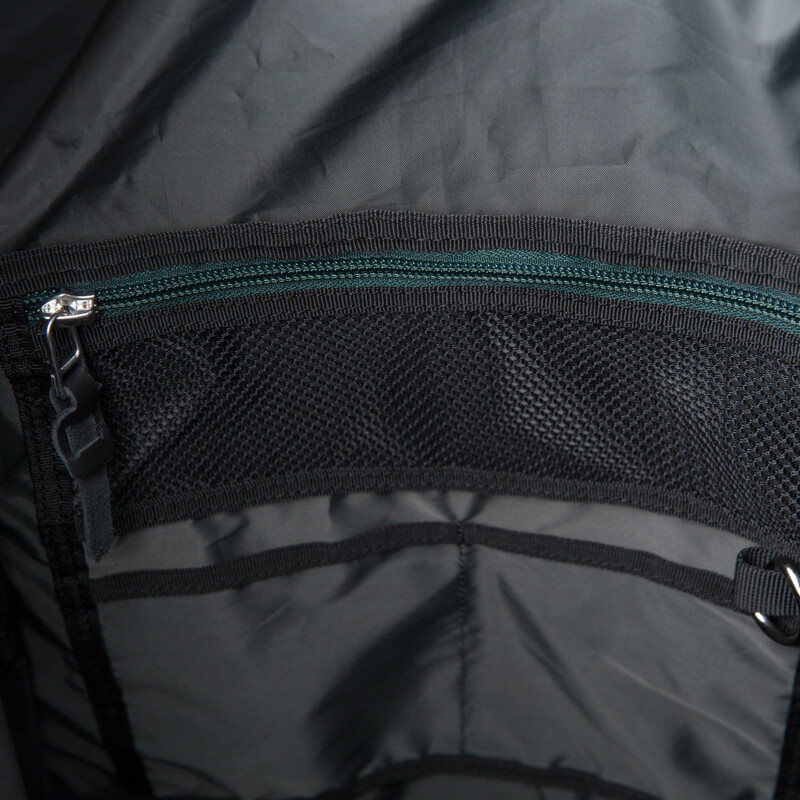 You can also use the handy extra zip opening on the side of the backpack. Inside is enough room for all your daily things with 21 liters of storage capacity. 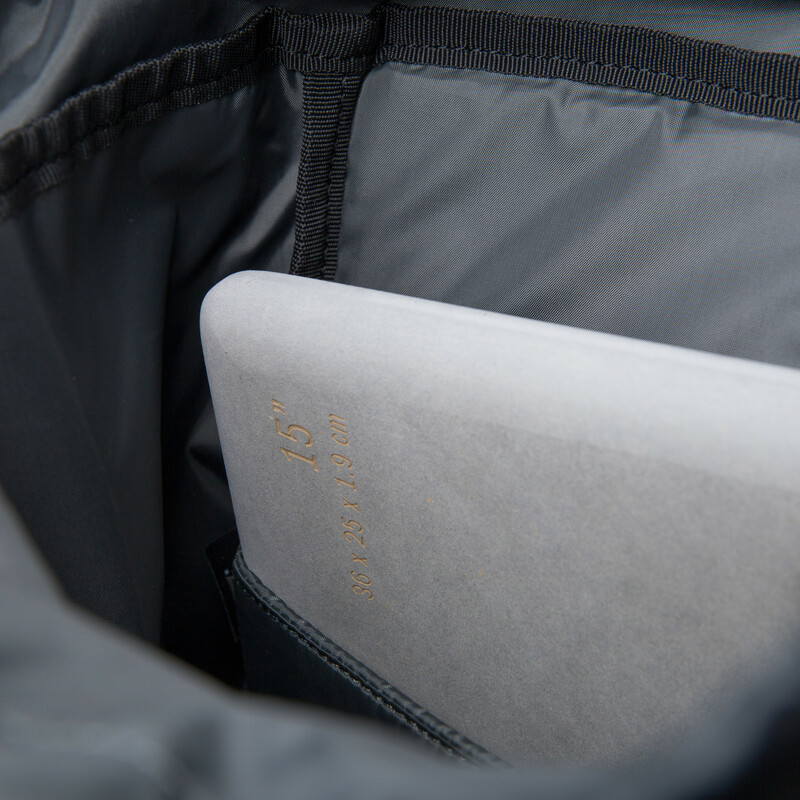 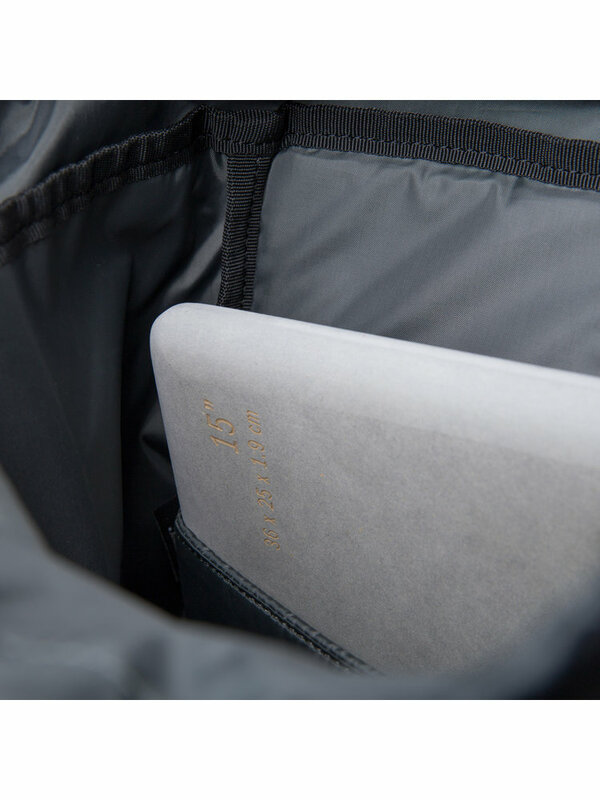 The Harald bag contains a 13-inch laptop compartment and several zip pockets and side pockets on the inside. 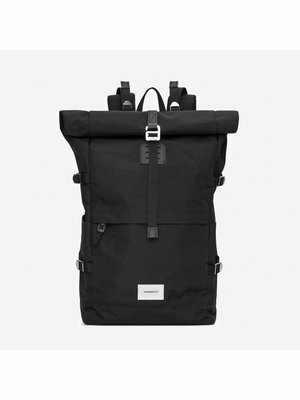 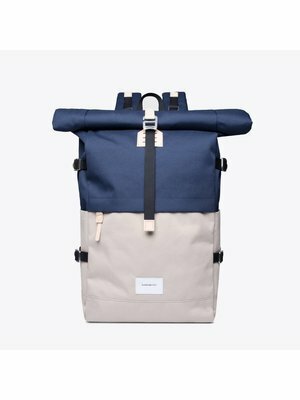 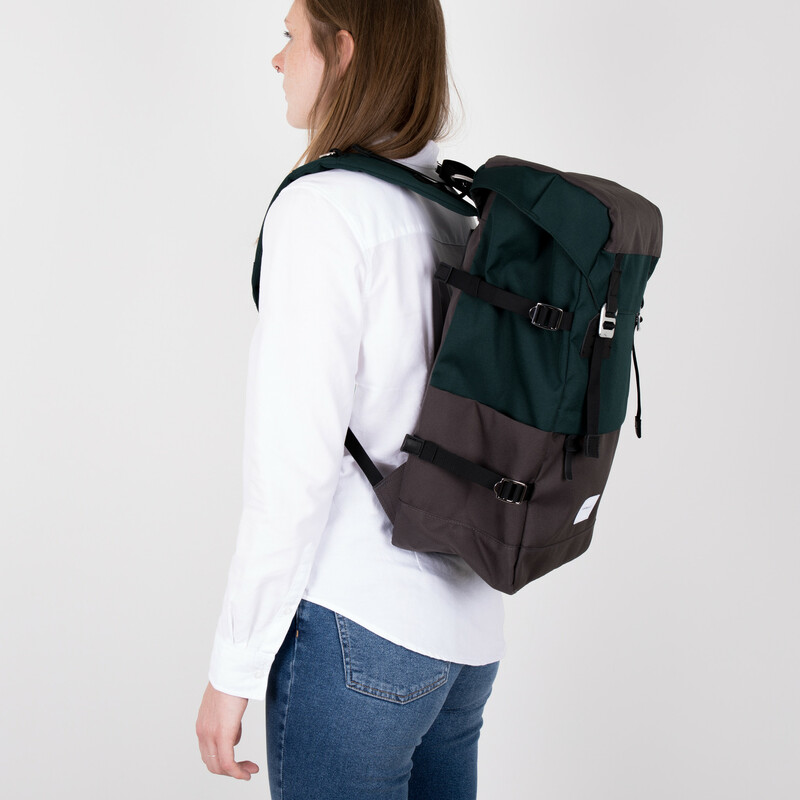 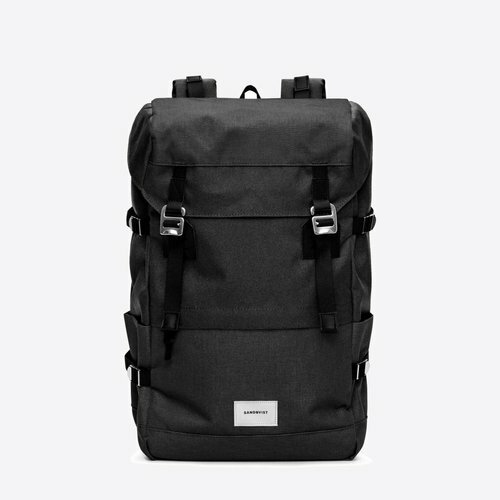 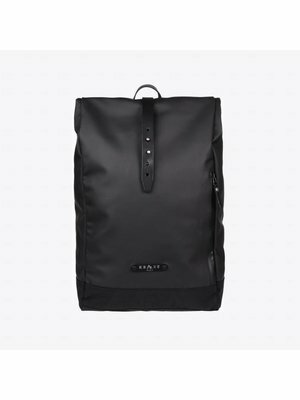 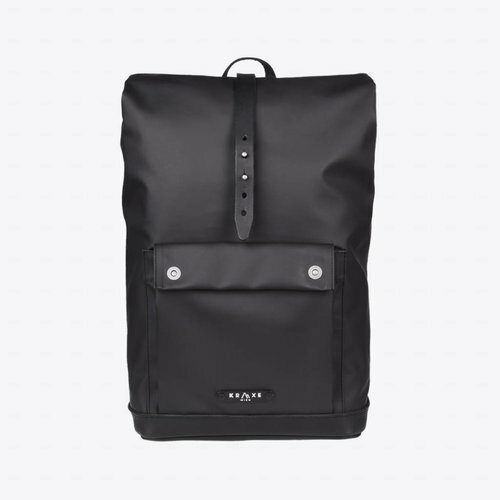 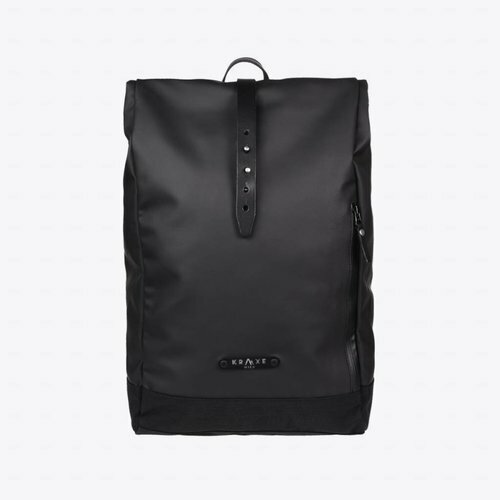 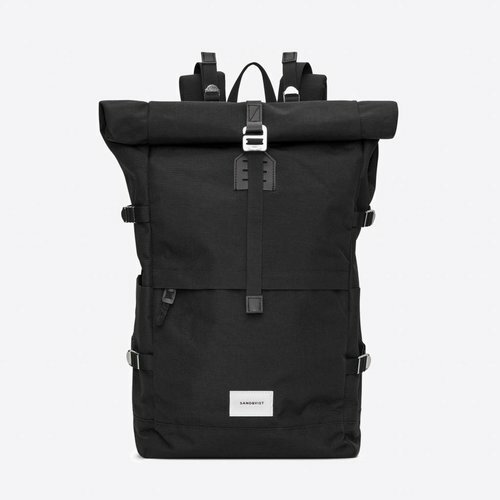 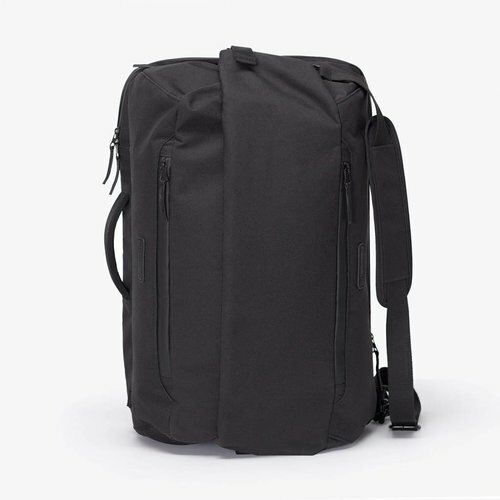 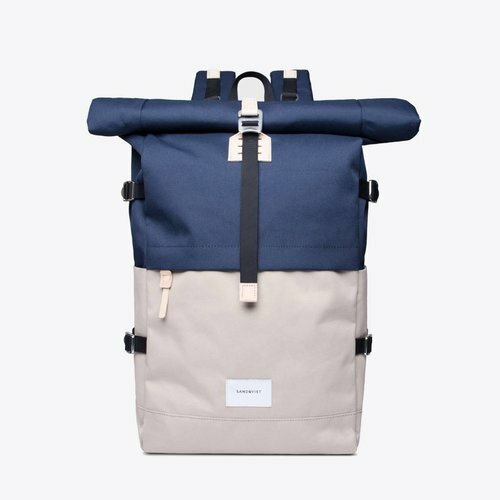 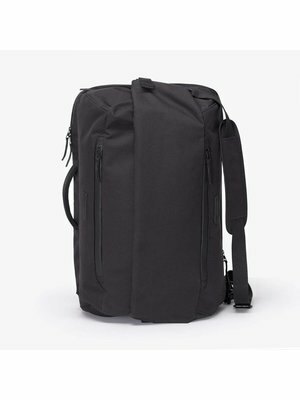 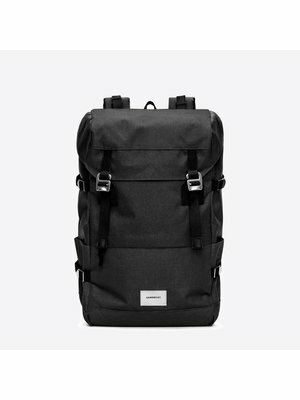 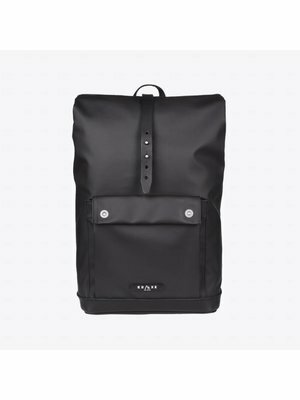 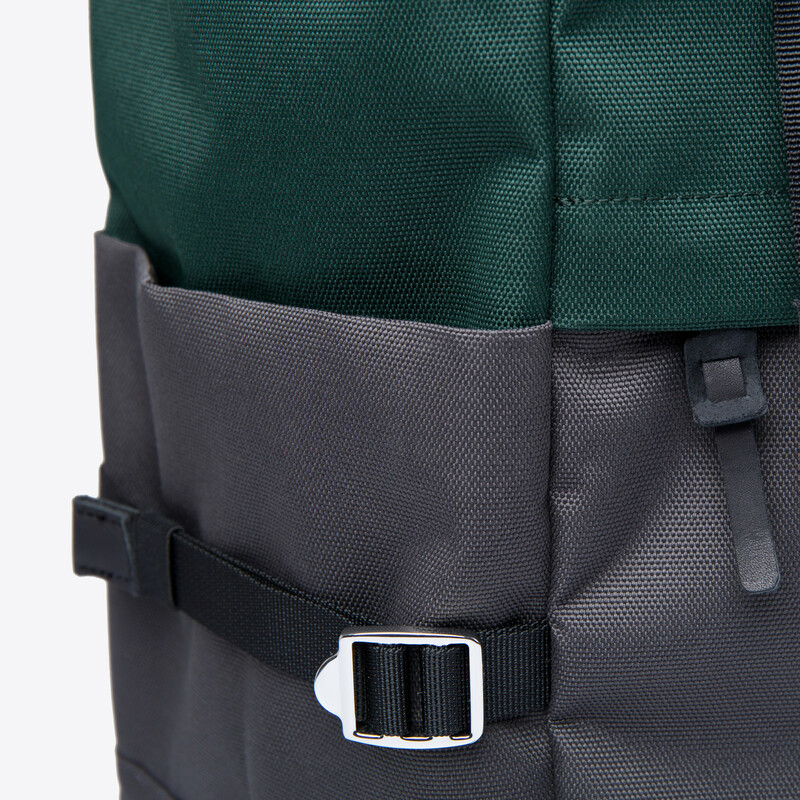 There are extra zipper pockets in the closing flap and at the front of this Harald backpack and two extra side pockets on the sides for smaller frequently used items. 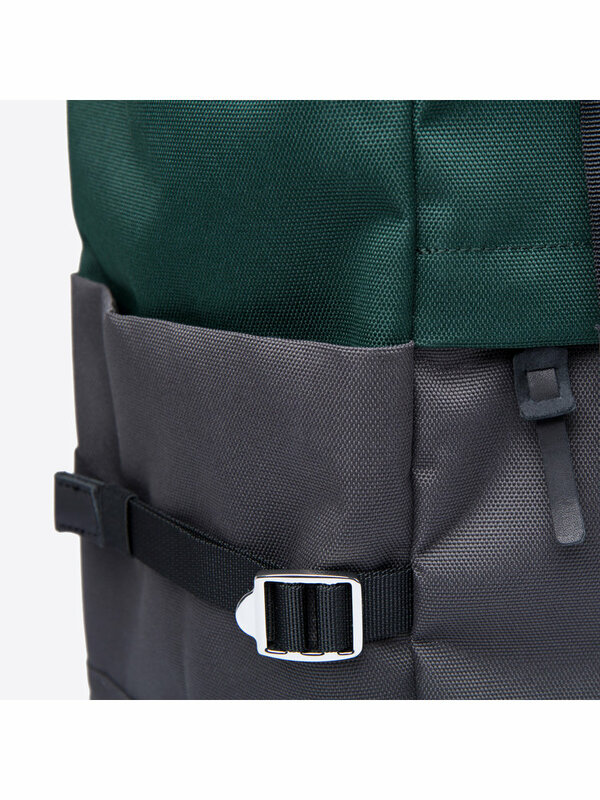 Adjust this Harald bag perfectly with the adjustable shoulder straps and it is all ready to use!